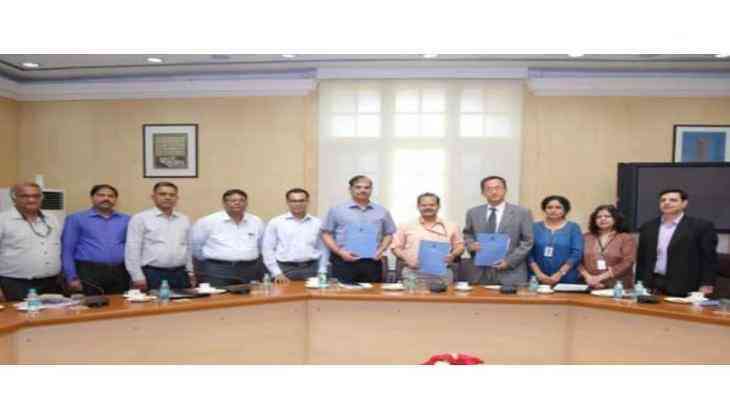 The Asian Development Bank (ADB) and the Government of India on 3 July signed a USD 220 million loan deal for improving connectivity as well as transport efficiency and safety on the State Highways in Rajasthan. The loan is the first tranche of the USD 500 million Rajasthan State Highways Investment Program, approved by the ADB Board in May this year that will upgrade about 2,000 kilometers of state highways and major district roads to two-lane or intermediate-lane standards to meet road safety requirements. The signatories to the loan agreement were Raj Kumar, Joint Secretary (Multilateral Institutions), Department of Economic Affairs in the Ministry of Finance, who signed on behalf of the Government of India, and Kenichi Yokoyama, Country Director of ADB's India Resident Mission, who signed on behalf of the ADB. The project agreement was signed by S. L. Sharma, Chief Engineer and Additional Secretary, Public Works Department, the Government of Rajasthan. "The project will help improve state highways and major district roads in Rajasthan. It will also enhance the capacity of the state public works department in the areas of road asset management, road safety and project management,"said Raj Kumar. "One of the focus areas of the program is to attract private sector financing through government capacity building on public private partnership (PPP) development. The ADB will finance part of the construction costs for the annuity-based PPP concessions and engineering procurement construction ( EPC) contracts, enhance the stability of contract regime, and ensure good governance during project implementation,"added Yokoyama. The first tranche loan will improve about 1,000 kilometers of state highways and major district roads. It will have a 25-year term, including a grace period of eight years, and carry an annual interest rate determined in accordance with the ADB's London interbank offered rate-based ( LIBOR) lending facility. The total cost of the project is USD 1.415 billion, with the government contributing USD 465 million, and USD 450 million coming from the private sector and other concessionaries.